Snapchat has transformed into a dominant Millennial platform on social media. But now, its audience is expanding into other demographics. 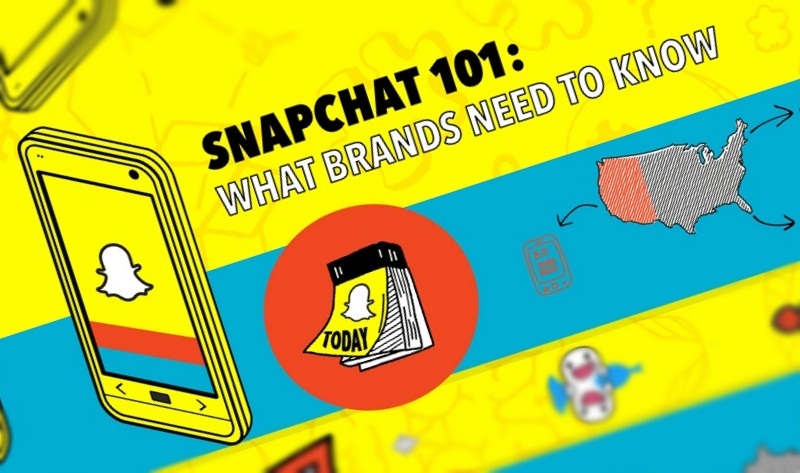 With the rise of Snapchat, some brands still face challenges when it comes to utilizing this growing network. Therefore, MDG Advertising created an infographic, Snapchat 101: What Brands Need to Know, to provide some clarity in the confusion as to how and when to adopt this platform. Since Snapchat was first created, its user count has only grown. Its customer base, 150 million active users, surpasses Twitter. Also, Snapchat continues to grow at a faster rate compared to other social networks. By this year in the United States, its user base is estimated to grow by 27%. In terms of Snapchat’s audience demographics, brand managers have a common notion that its primary users are very young. Although true today, this platform’s audience is constantly broadening. While this network ranks #1 with teens, 50% of new users are ages 25+ and the growth rate of this consumer base is twice that of the 25 and under consumers. With a growing consumer base, it may come as a shock that businesses are not jumping to immediately adopt Snapchat. One explanation for this is that calculating impression counts and reach can be hard to do, unlike Facebook’s clear ability to show ROI. Aside from being skeptical to utilize Snapchat to promote their brand, businesses have struggled to use the platform the correct way. Brands can successfully reach their desired audience by using its many helpful features. The Chat and Story features can be used to unveil discounts or to reveal behind-the-scenes action. Also, brands can take advantage of Sponsored Lenses and Sponsored Geofilters. Both provide engaging, overlaying filters to further ignite a sense of excitement. Although Snapchat’s expansion seems positive, some businesses still question whether adopting this network would be the best move. The reality is that all brands are different. If a business’ key consumer base is quite young, then this platform is undeniably essential. However, if a business’ target audience lacks tech knowledge or is much older, then the question remains. Our suggestion is to keep a close watch on Snapchat’s evolving audience because this platform could be crucial to your brand quite soon.